Quick overview Takes a nostalgic look at the world of British railways. Focusing on the human experience of the railways - the drivers, firemen, guards, station staff, signalmen, engineers, caterers and, of course, passengers - this book features photographs of steam trains, other locomotives, memorabilia and evocative railway ephemera. 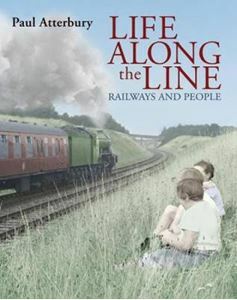 "Life Along the Line" takes a nostalgic look at the world of British railways through the eyes of bestselling author and antiques expert Paul Atterbury. Focusing on the human experience of the railways - the drivers, firemen, guards, station staff, signalmen, engineers, caterers and, of course, passengers - the book is a visual feast, filled with fascinating archive photographs of steam trains, other locomotives, memorabilia and evocative railway ephemera. Built from archive photographs, old postcards, badges and other railwayana, the book is filled with fascinating material that Atterbury has himself collected from tireless searching at postcard and antique fares and auction sites. Many of the illustrations are therefore original and previously unpublished. This title covers railway life across the network as well as showcasing local differences in a series of regional sections.